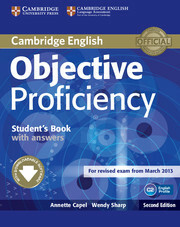 A variety of challenging, lively topics provide thorough training in exam skills and high-level language development. Each unit contains three double-page lessons ensuring flexibility, even pacing and progress. Interactive software, downloadable from a URL in the Student's Book, provides activities for practice of exam skills, grammar and vocabulary. (Mac users must pre-install Adobe Air and Java in order to run this software). Exercises and examples tackle areas that Proficiency students often find challenging. 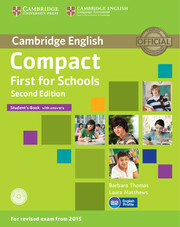 Audio for the Student's Book listening exercises is available as part of a separate Student's Book Pack, or separately. A Student's Book without answers is also available.